At the Dubai Airshow-2015 exhibition the basis of the Russian exposition was made still by fighting vehicles and air defenses systems, however a lot of things testifies about coming nearer «phase transition» Russian aviation industry. In the next ten years the share of civil cars should essentially grow up. About revival of production of civil aviation in Russia speak long ago, however today it it is possible to call by a necessary condition of existence of domestic aviation industry as that. To provide uninterrupted functioning of branch with the developed contractual arrangements with contractors, hiring of labor and development of new equipment only steady sale of production can, and the share of civil aviation in this sale should increase sharply. To that there are some reasons. First, developed and not demanding continuous budgetary injections for the support aviation industry – branch – the "donor" providing both a large number of the knowledge-intensive workplaces, and constant monetary investments in the latest development and fundamental science that defines country development as a whole. 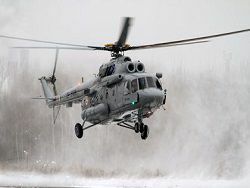 Secondly, after 2020 the Russian aviation industry will face reduction of volume of production in the area of State defense order in connection with implementation of the program of rearmament. 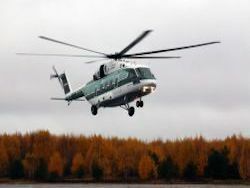 The volume of deliveries of new planes for the Ministry of Defence in 2014 exceeded hundred units, helicopters was even more and so will proceed with increase in speed till the end of a decade. And after program end total volumes of purchases can be reduced to 90-100 planes and helicopters in a year in total – it quite enough for maintenance of number of military aircraft at the set level with the account 30 – 40-year service life of modern aircraft. At last, already the ceiling of growth of the Russian military aviation export limited both to actions of competitors, and market sizes is now visible. Long service life of modern fighters leads to that the replacement question in large quantities delivered on the market in the late nineties – the beginning of the 2010th years of fighters of the SU brand seriously will rise not earlier than the 2030th years. Certainly, it does not mean the complete termination of foreign deliveries – search of new clients, as well as Air Force updating former, will proceed, including taking into account effective demonstration of possibilities of the Russian planes in the Syrian campaign. But the sales volume of cars of former models, most likely, will considerably be reduced. 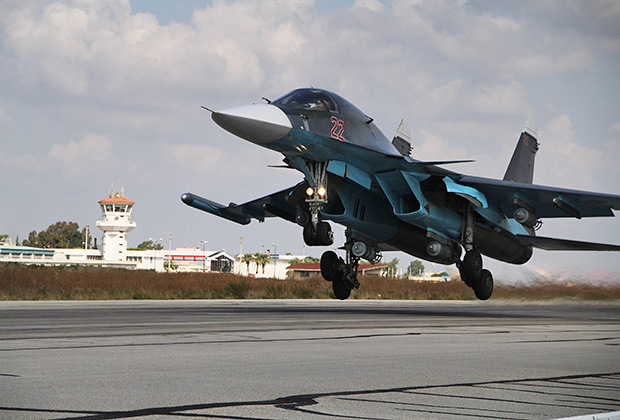 As far as new cars – the entering Su-35 market and while continuing tests T-50 – difficult to tell can fill this gap. Generally, it is obvious that for preservation and furthermore growth of volumes of export it is necessary to look for reserves in civil sector. 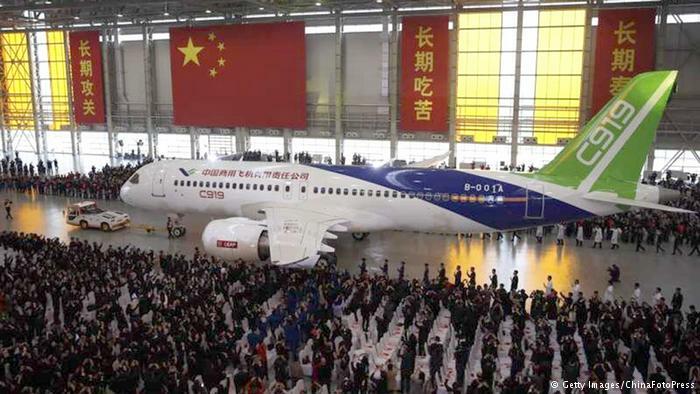 Search in this direction is conducted both concerning already actively flying regional SSJ-100 liner, and for preparing for tests next year MS-21. The list of contracts gradually extends. It will be possible to consider the purpose reached when the annual volume of production of civil airliners in Russia will make not less than 100-120 units that will allow to recreate this branch as system with all necessary infrastructure of contractors and contractors. Nevertheless sale of warplanes and helicopters remains the most important article of the Russian military export, and the Middle East with its continuous war (or a threat of war) – one of key regions for aviation industry. On Dubai Airshow-2015 reported about negotiations from the United Arab Emirates on possible deliveries of the fighters Cu-35. However negotiations such are conducted not one year, and their positive result is guaranteed to nobody more often. To count seriously to order fighters from the Emirates hardly costs, though this country remains the buyer of the Russian air defenses systems, armored machinery and some other products. On the other hand, it is quite possible to predict deliveries of the Russian warplanes, and also military-oriented helicopters to the countries of the Middle East and North Africa. 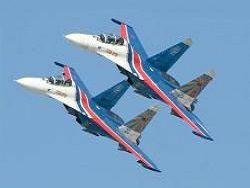 Among potential buyers – Iran for which updating becomes strong the Air Force out-of-date park of one of the main tasks in medium-term prospect after an exit from under a mode of sanctions, Iraq already actively using the Russian attack planes and helicopters in operations against terrorists, Syria too needing Air Force updating – right after the decision by means of the Russian VKS of prime problems in land campaign. Separately it is necessary to mention Egypt: for Cairo receiving the modern fighting vehicles, capable to work on the ground, also important priority in the conditions of accruing threat of large-scale war against Islamic groups at once on several directions. Besides, Algeria soon should change still remaining in a system, besides new planes and helicopters, the car of the Soviet construction. Iran to all other became a source of one of the main sensations of dubaysky salon. During a briefing for the press on November 9, 2015 "Rostekh’s" head Sergey Chemezov declared signing and contract for delivery coming into effect to Iran of surface-to-air missile systems S-300, the epic with which purchase and its subsequent cancellation lasted more than eight years. The list of trading partners of Russia is not settled by this list. 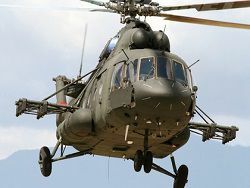 In particular, in Dubai officially reported about the conclusion of the contract for delivery of four shock Mi-35 helicopters to Pakistan. Obviously, this party – fact-finding, preceding larger contract. Ability to come on formally "another’s" markets shows the Russian aviation industry during the whole Post-Soviet period. The first large deal without the Soviet background – delivery of party of fighters MiG-29 of Malaysia in 1994-1996. Then triumphal procession along the world of fighters the families Su-27/Su-30 which have broken on the market of the same Malaysia, and followed at the same time Indonesia and India (where "Sukhoi" bypassed not only foreigners, but also already there are a lot of years MiG dominating in the local market), in the conditions of rather rigid competition. The success "Dry", shown ability of the Russian producers to be arranged under needs of the customer, is especially expressive against muffled performance in a foreign market during the same period of schoolmates of Su-27/30 – the American fighters F-15 though they had an excellent advertizing in the form of war in the Gulf of 1991 that you will not tell about the Russian car. In Iraq after 2011 government formally brought to power by Americans started active purchases of the Russian arms both for the Air Force, and for land forces. And after all the probability of similar break was considered minimum, no less than probability become as reality more than two year later returns to large-scale cooperation in the military and technical sphere with Egypt. Today chances of similar breaks grow – taking into account effective demonstration of possibilities of Aerospace forces of the Russian Federation in Syria. However base expansion for export still the extremely essential task. The solution of this problem is promoted also by an economic situation. Ruble devaluation sharply increased appeal of the Russian military transport planes Il-76MD-90A and cars on their base (flying tankers and DRLO planes). The contract for delivery of the Ministry of Defence of 39 Il-76MD-90A was concluded on October 4, 2012 at the price 3,57 billion rubles for unit that at that time made 119 million dollars. After ruble devaluation in 2014-15 this sum fell twice, having allowed to create a pool of customers on this car in number of about forty units about what representatives of Rosoboronexport reported in June, 2015 on the Parisian air show. 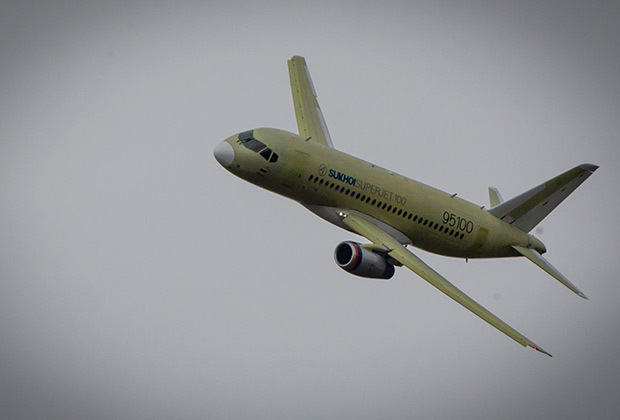 In a smaller measure this factor will affect export of SSJ-100 liners and MS-21 where the share of foreign accessories is rather high, however further work on localization of production of the equipment and units in Russia will allow to reduce it, at the same time having raised a share of the knowledge-intensive sector in the Russian industry. 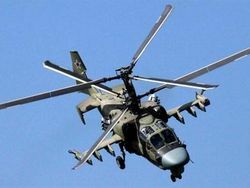 «The rouble factor» just in fighting aircraft where the share of the foreign equipment is minimum is most appreciable. 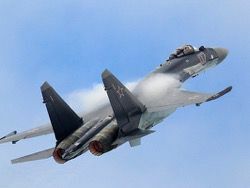 Here it is possible to wait for interesting results already because Su-30, in before – the devaluation period caught up at the price of «Super Hornet» and suddenly fallen in price twice, becomes much more attractive to many potential buyers. In particular, it affected the decision on purchase of additional party Su-30MK2V for the Air Force of Venezuela what it was declared in the autumn of 2015. In the whole Dubai Airshow, as well as the majority of other air shows, serves not so much as a platform for the announcement of transactions, how many a place of exchange of information and context formation. 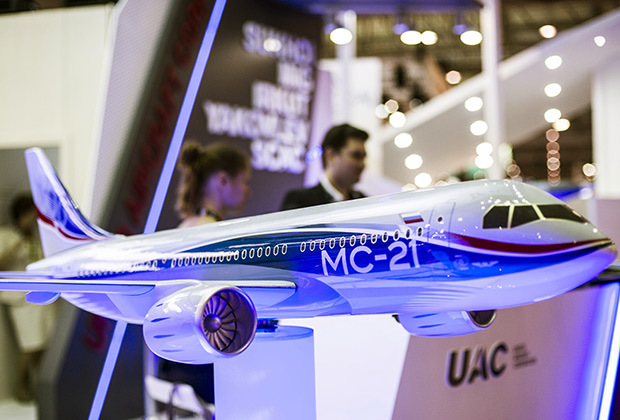 Events of the last months allow to say that "Rosoboronexport" and OAK managed to draw attention to the Russian commercial cars – both to planes, and helicopters, having kept interest of buyers and to military equipment.